The Battle Rifle red reticle range (range at which auto-aim benefits kick in) has been decreased. Two bursts from a Battle Rifle followed by a melee will now kill an opponent (2-shot melee). The Carbine accuracy has been increased (projectile spread decrease). The Carbine red reticle range has been decreased. The LightRifle zoomed rate of fire has been increased. The LightRifle un-zoomed rate of fire has been slightly decreased. The LightRifle red reticle range has been increased to match the updated DMR range. The DMR red reticle range has been slightly decreased. The Assault Rifle damage has been slightly increased. The Assault Rifle now kills in three less rounds. The Assault Rifle auto-aim angle has been reduced. The Assault Rifle projectile spread has been decreased. The Storm Rifle damage has been increased. The Storm Rifle now kills in three less rounds. The Storm Rifle auto-aim angle has been reduced. The Storm Rifle projectile spread has been decreased. The Suppressor damage has been increased. The Suppressor now kills in three less rounds. The Suppressor auto-aim angle has been reduced. The Suppressor projectile spread has been decreased. The damage has been slightly increased. The Magnum is still capable of killing in six rounds. 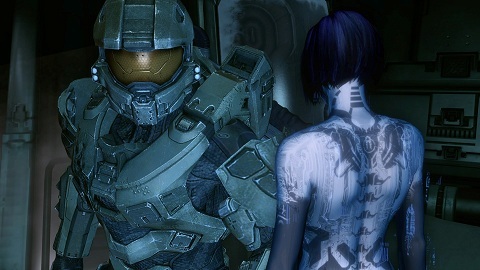 Halo 4 is the latest game in the wildly successful Halo franchise. It features a fully cooperative campaign with multiple difficulty levels, as well as a special mode called Spartan Ops, that can be played with up to four players.